On Saturday Sept. 20 at approximately 1:15 p.m., Medford Police and EMS were dispatched to a motor vehicle accident on Stokes Road near Jackson Road involving two school buses loaded with students. Police investigation revealed that a total of four school buses, operated by Integrity Transportation, LLC, of Galloway Township, were travelling northbound on Stokes Road transporting Absegami High School Marching Band students to a competition when the third bus stopped in traffic and was subsequently struck from behind by the fourth bus, operated by 65-year-old woman of Linwood. Twenty-one students and two adult chaperones were on the third bus, and 21 students and one adult chaperone were on the fourth bus. A total of seven students were injured in the crash with complaints of leg, arm and facial pain. One 18-year-old male and two 17-year-old females were transported to Virtua Hospital in Voorhees. One 16-year-old male, one 17-year-old male and two 17-year-old females were transferred to Virtua Mt. Holly. All of them complained of minor injuries. Both buses suffered moderate damage, with the fourth bus being towed from the scene. The Linwood woman was issued a summons for careless driving. 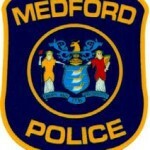 Medford Police were assisted at the scene by EMS units from Medford and Tabernacle.